TerrAktiv green com­post is pro­du­ced in our own com­pos­ting faci­li­ties and cer­ti­fied to the Dutch RHP stan­dard. During the com­pos­ting pro­cess, the raw mate­ri­al is trea­ted with bio­dy­na­mic sub­s­tan­ces. Pre­d­ato­ry mites (Hypo­as­pis miles) are added to pre­vent infe­sta­ti­on with sciarids in the green­house. The pro­duc­tion tech­ni­que and com­pon­ents used for TerrAktiv com­ply with EU Regu­la­ti­on (EG) No. 834/2007 and Annex I to Imple­men­ting Regu­la­ti­on (EC) No. 889/2008, inspec­ted by Ecocert. The GMO-free raw mate­ri­als and orga­nic fer­ti­li­sers are regu­lar­ly tested for resi­du­es. TerrAktiv adhe­res to the app­li­ca­ble requi­re­ments in Ger­ma­ny, Aus­tria and Switz­er­land. 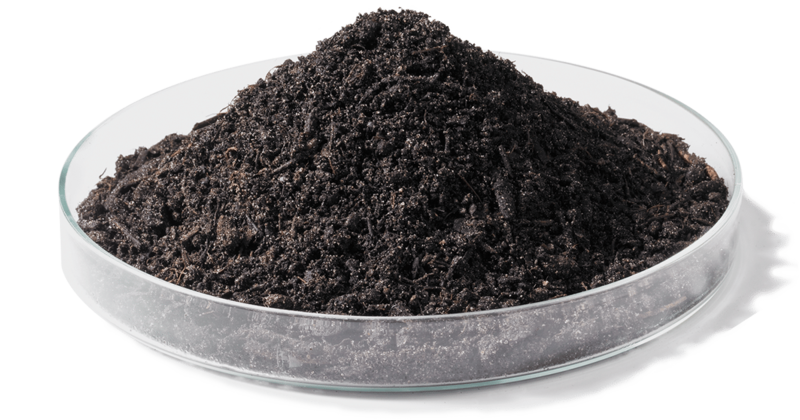 TerrAktiv FT is a com­post-fib­re blend made by com­bi­ning TerrAktiv and GreenFibre, and fer­men­ted using a spe­ci­fic pro­cess. Its fer­men­ta­ti­on sta­bi­li­ses the nitro­gen cycle, mobi­li­ses added orga­nic nut­ri­ents and pro­du­ces an opti­mi­sed sub­stra­te com­po­nent with low salt and nut­ri­ent levels. 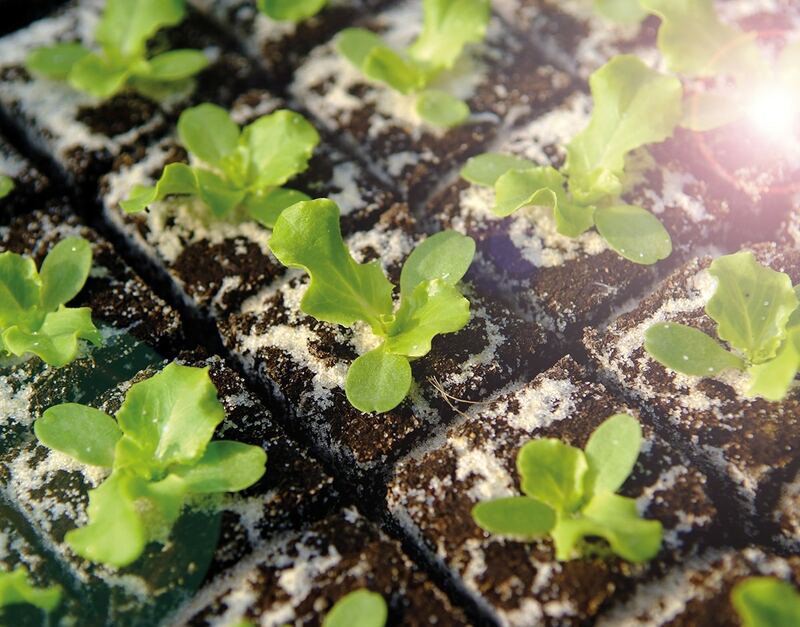 Espe­ci­al­ly when star­ting to grow crops on a given site, TerrAktiv FT makes growth con­si­der­a­b­ly more reli­able whe­re sen­si­ti­ve plants are cul­ti­va­ted. TerrAktiv FT is the ide­al source mate­ri­al for orga­nic substrates used to grow pot­ted herbs and for blo­cking substrates.